LASIK surgery with Dr. Goosey allows you to LOOK at everything in plain sight, or from a distance, without glasses or contacts. Cataract surgery with Dr. Goosey allows you to SEE more clearly with the latest in blade-free laser and intraocular lens (IOL) technology. If you’re experiencing severe vision problems and can’t GAZE into the light, it’s time to see Dr. Goosey, Houston’s top Corneal Surgeon. 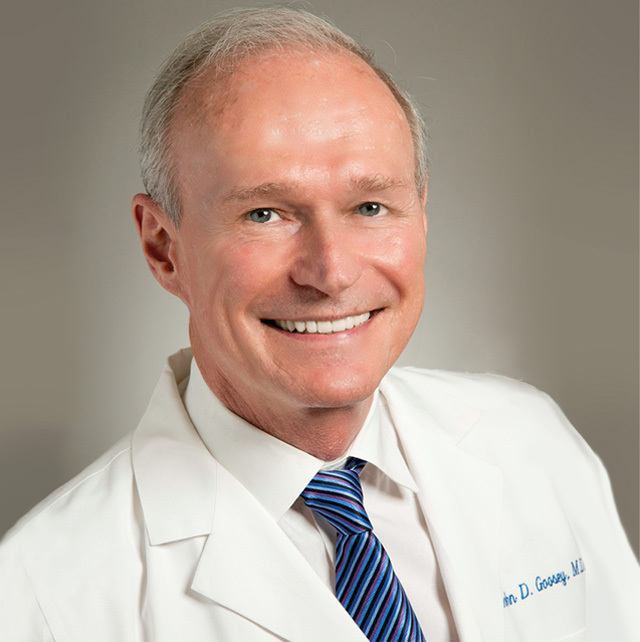 The premiere LASIK, cataract, and corneal surgeon in Houston, Dr. John Goosey, is a certified member of the American Board of Ophthalmology, and a cornea specialist who is a global leader in his field and within the medical community. He is internationally known and respected as a corneal and refractive surgeon, specializing in LASIK and cataract procedures. All ophthalmologists are educated and trained in the general area of the cornea; however, only a few become cornea specialists. And, very rarely does one become respected with the merit, honor, and accomplishments of the distinguished Dr. John Goosey. When it comes to our staff, our patients’ first thoughts are… experience, friendliness, and quality patient care. Come in and experience the difference that Dr. Goosey and the professional team of Houston Eye Associates makes each and every day! Meet one of the BEST eye doctors in America! let’s hear what YOU will have to say!